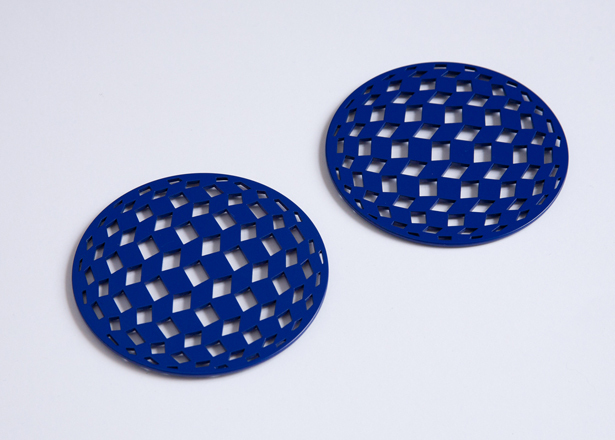 The latest addition to DesignedMade's product range. 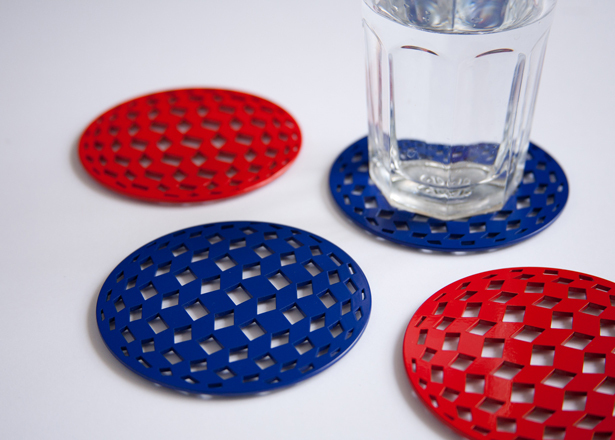 The Cubic Coaster is the sister product to the Cubic Bowl; utilising the same illusionary shape, it adds a splash of colour and artistry to the surface it's placed on. 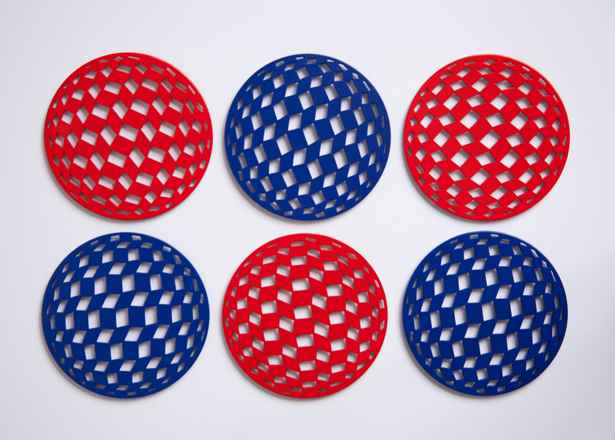 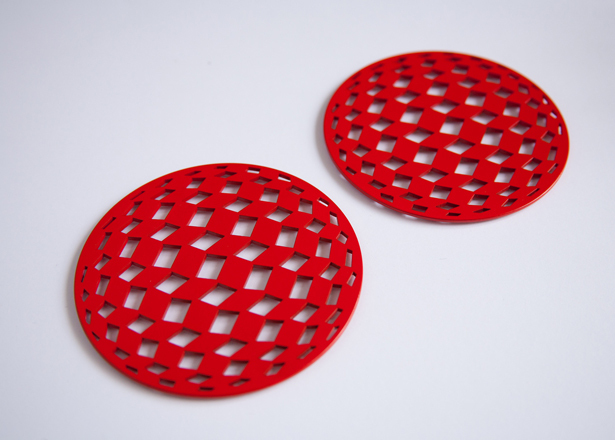 The coasters are made from 2mm steel, which is laser-cut and then powder coated. 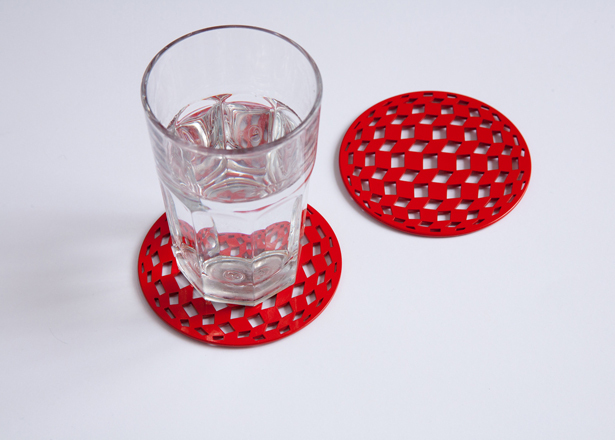 Three small rubber feet on the underside of the product cushion it against the surface – as well as raising it slightly to give the impression that the coaster is floating.